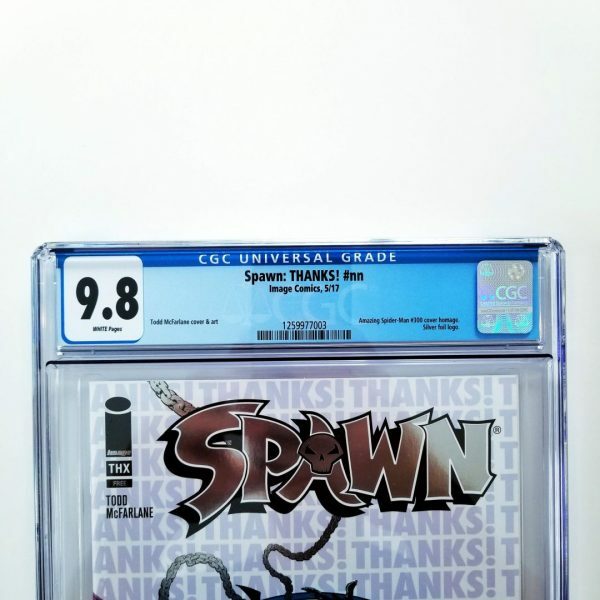 Available for sale is the Spawn: THANKS! 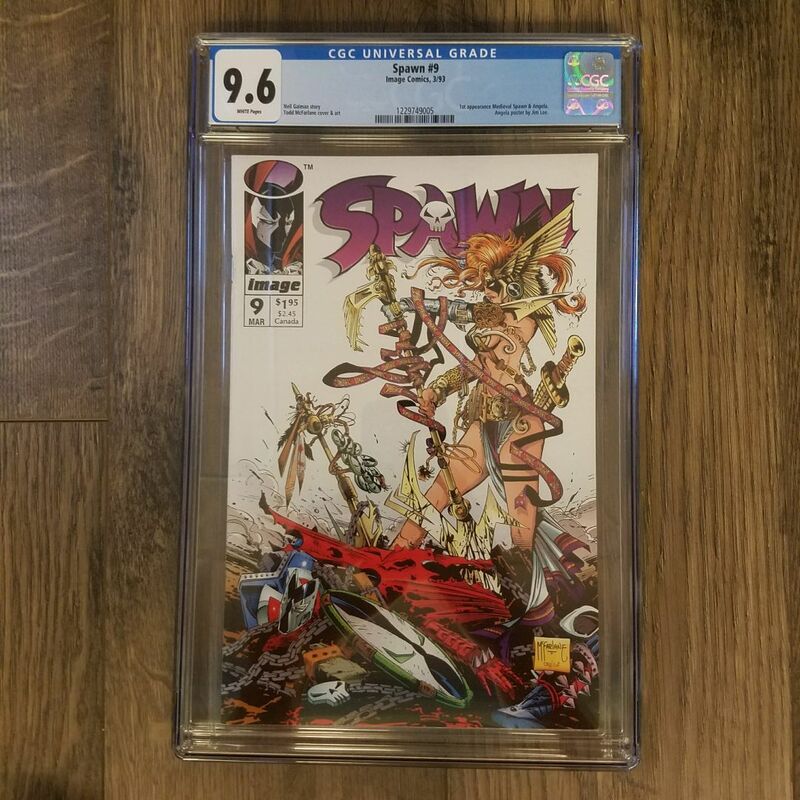 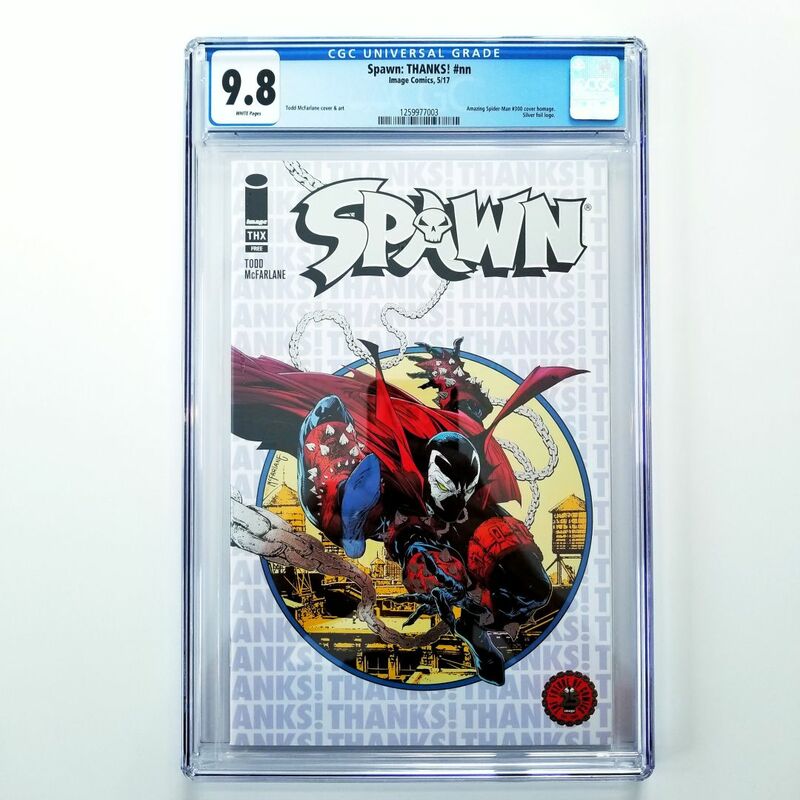 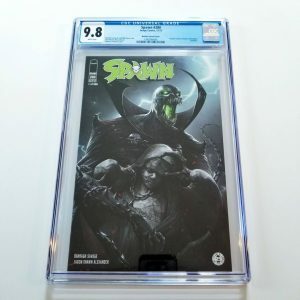 Retailer Appreciation Issue graded by CGC in 9.8 NM/M condition. 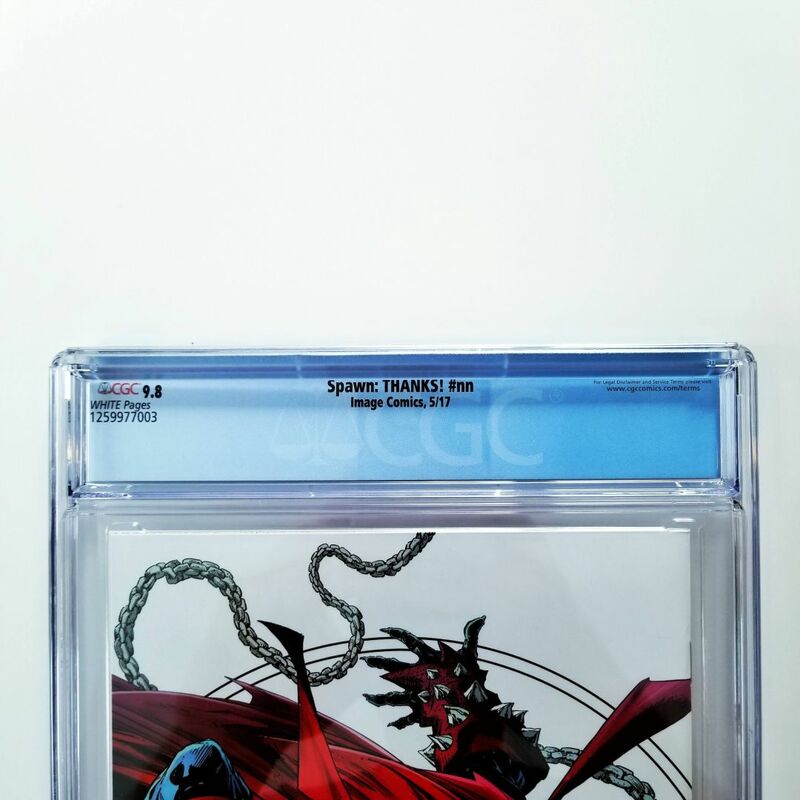 To celebrate the 25th Anniversary of Spawn, comic book retailers were each sent just one of these comic. 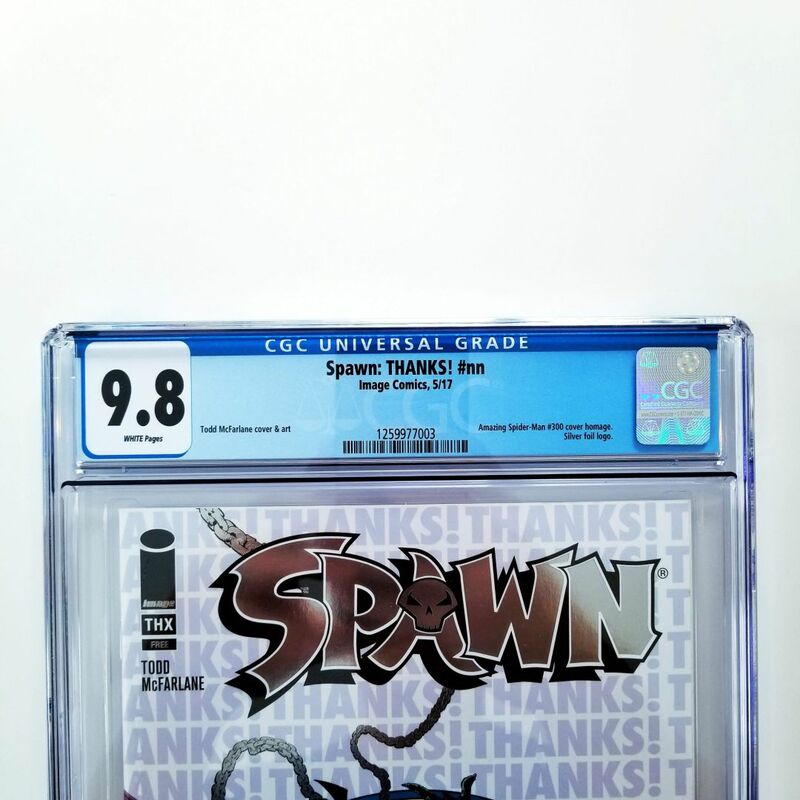 Grab this hard to find and highly collectible slab today while you can, it won’t be here for long! 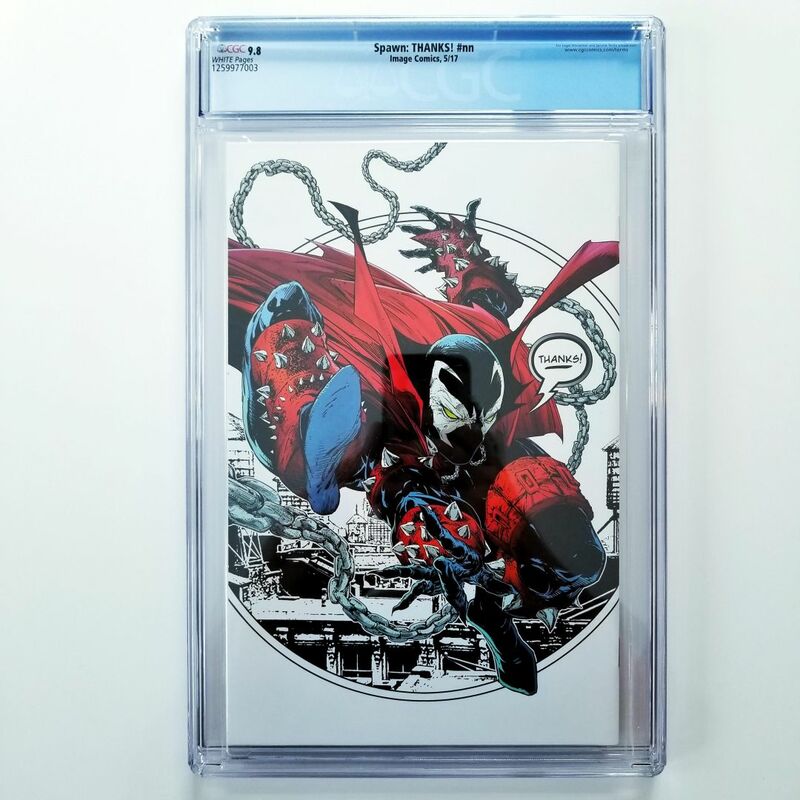 This slab recently sold via my eBay Store. 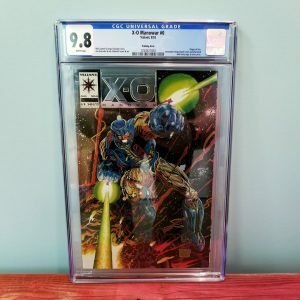 Click here to find another one just like it! 25th anniversary pin-up book featuring black and white reproductions of some of Todd McFarlane’s most memorable Spawn covers.